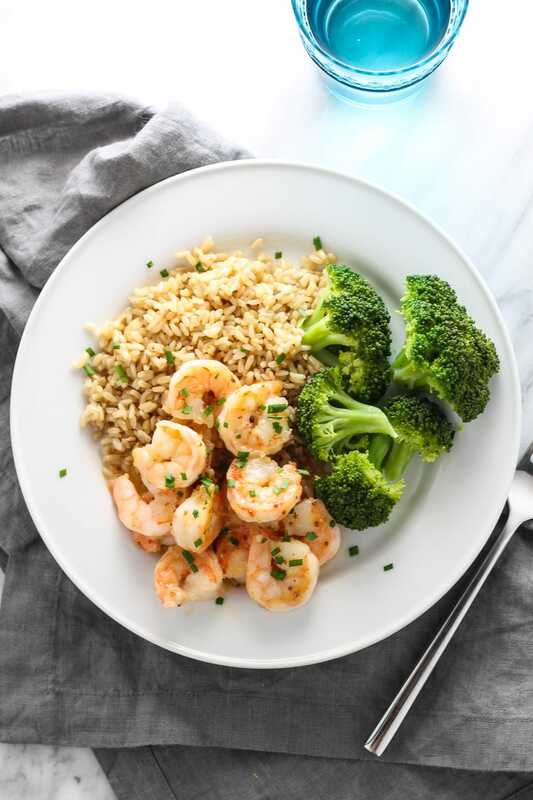 Ready in 10 minutes, this Low FODMAP Maple Dijon Shrimp is a quick, sweet and savory upgrade to plain shrimp. I am always looking for fun ways to jazz up plain old protein foods. This Low FODMAP Maple Dijon Shrimp is exactly that. It’s a little bit sweet, a little bit tangy and a whole lot of delicious! Serve it on a simple romaine salad, over brown rice pasta with wilted spinach, or with steamed broccoli and a baked potato. 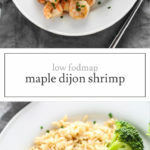 Ready in 10 minutes, this Low FODMAP Maple Dijon Shrimp is a quick, sweet and savory twist on plain shrimp. In a small bowl, whisk together maple syrup and Dijon mustard. Set aside. In a large skillet, heat olive oil over medium-high heat. Once hot, add shrimp and cook for 1 minute and flip. Cook for another 30 seconds. Add sauce and stir occasionally. Cook until shrimp are done and sauce is hot. Remove from heat. Serve warm topped with optional chives. So. Stinking. Good!!!! Even my kid who swears not to like shrimp loved this dish! I made this for dinner and it was delicious! Cooking isn’t my favorite but this was easy and quick! I live where fresh shrimp is brought in daily which made it even better. The flavoring was perfect and I can’t wait to make it again! That’s awesome, Carla! Thanks for sharing! Many nights I don’t really feel like cooking much elaborate. So I, too, thrive on a lot of quick and easy meals like this one. 🙂 Glad you enjoyed this one as much as I do! This was the first low fodmap recipe I tried and it’s delicious! 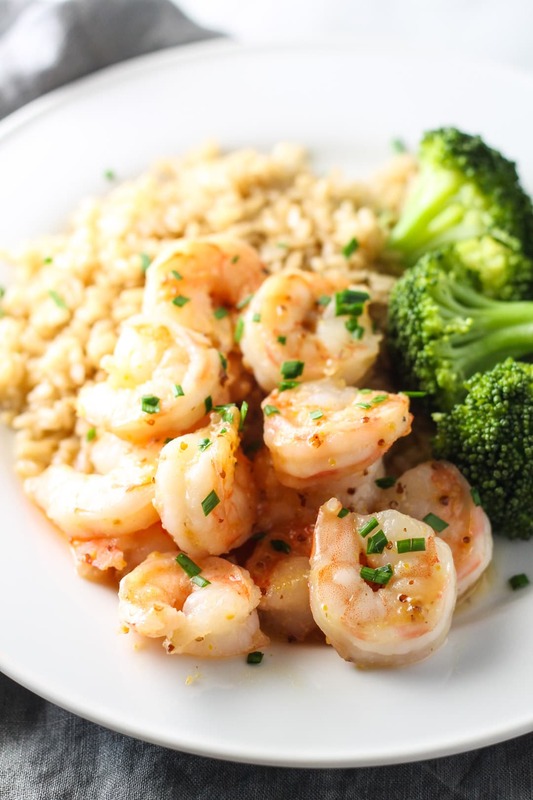 I serve the shrimp over brown rice and even my husband (who doesn’t do low fodmap) loves it.